Star Photography tutorial in Adobe Lightroom, Milky Way Photoshop Tutorial, Astrophotography Panorama Stitching and Image Stacking. 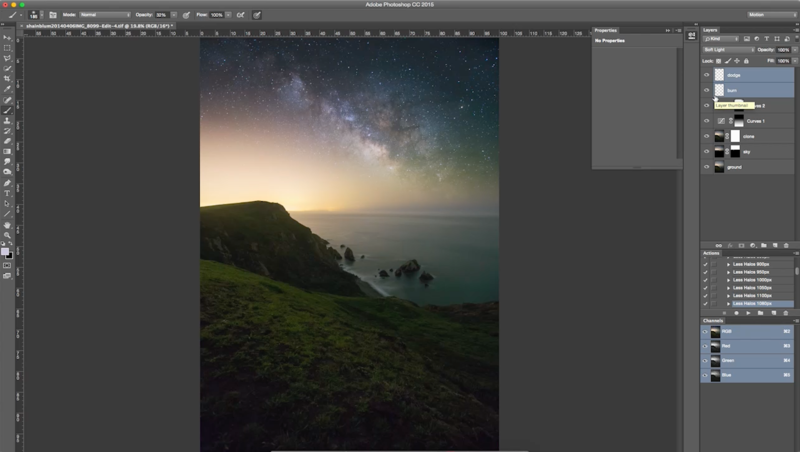 Masking the Milky Way in Adobe Photoshop. 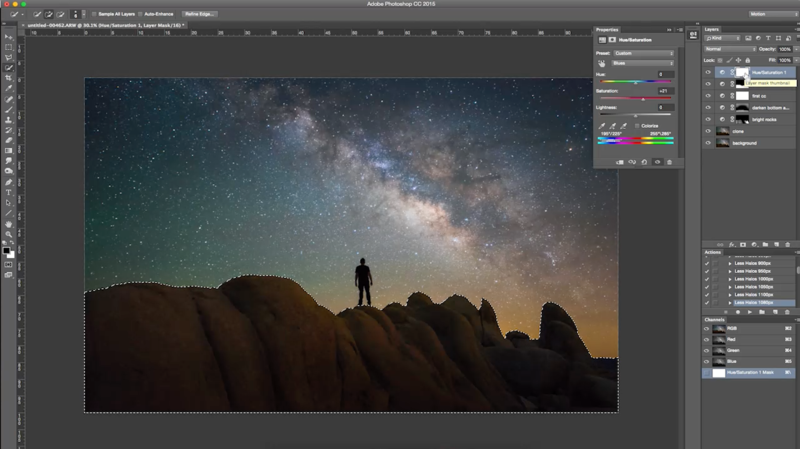 Powerful astrophotography editing techniques in Adobe Lightroom. 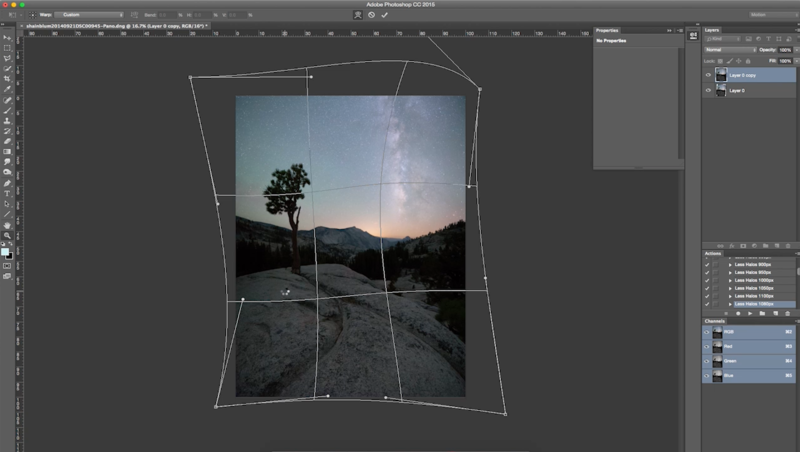 Warping and stitching star photography in Photoshop. 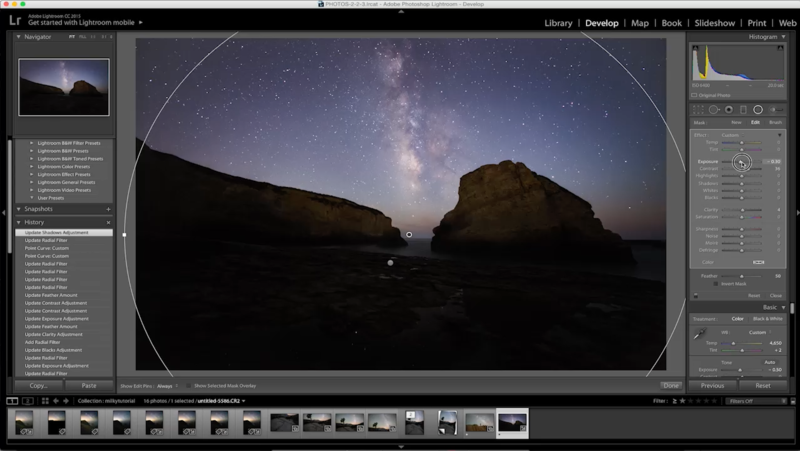 Stacking Milky Way images and blending exposures in Photoshop. In this hour long Star Photography Processing Tutorial you will learn some of my favorite techniques for editing the Milky Way. 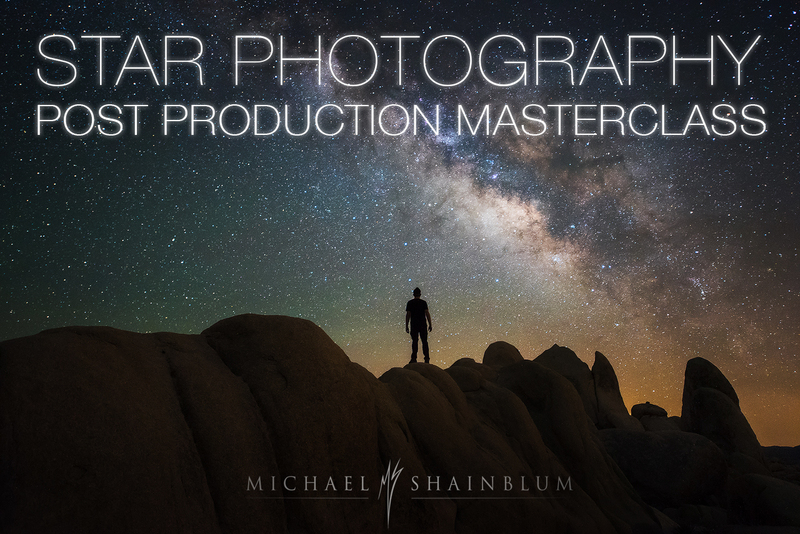 I also talk about shooting techniques I use in Astrophotography and Milky Way Photography. Techniques include image stacking, basic photo blending, Lightroom panorama stitching, correcting panorama distortion in Photoshop, processing single frames in Lightroom and dodging/burning the Milky Way in Photoshop. Astrophotography can seem a bit daunting at first and processing these files can be a lot of fun with a little understanding. Included in this milky way editing tutorial zip file you will find two RAW files for technique 4 and 5. You can follow along using the RAW files. The first part of the course (techniques 1-3) do NOT have RAW files provided. These are the techniques I apply to my own images when I get home from a shoot. 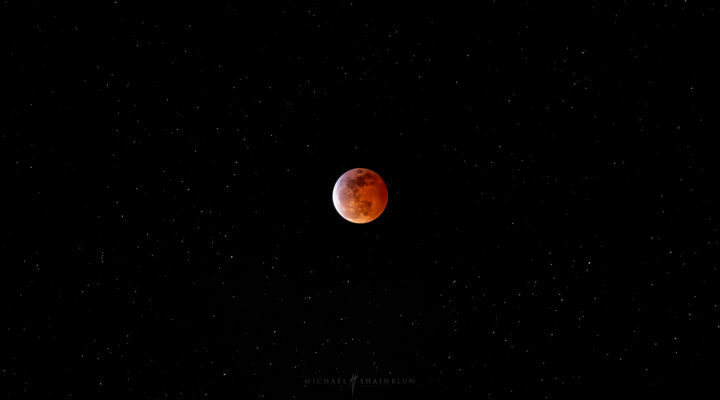 However there a endless possibilities to processing astrophotography. I always encourage students to learn techniques from as many people as possible. If you have any questions about the Milky Way tutorial please do not hesitate to contact me directly here. Star photography tutorial, Astrophotography tutorial, Milky Way editing in Adobe Lightroom and Adobe Photoshop.